Walter Del Mar, the man who may well have coined the term 'Resident Sahibs', and a man described by newspapers of his time as 'an inveterate globe-trotter, but one of the best specimens of that class', in his 'The Romantic East Burma, Assam, & Kashmir' (1906) tells us Kashmiris have nipari, mimuz and battekheu when they intend to have breakfast, lunch and dinner, respectively. In fact, he borrows these terms from an extensive list of workable, passable Kashmiri words provided by Walter Roper Lawrence in his 'The Valley of Kashmir' 1895.But some of these words, like battekheu (I had food, I have had food, Had Food? ), are grammatically confusing. Another word that Walter Del Mar borrows from Lawrence is even more interesting. He uses 'Pairim gad' for Mahseer. Lawrence translates it as "Punjab Fish". Now, the thing is: Kashmiris have Panjayeeb G'aaer or Punjabi Singhara (Chest Nuts), and these aren't called 'Pairim G'aaer' so why would Punjab Fish be called Pairim gad. In fact, Pairim in Kashmiri would mean Outsider fish. 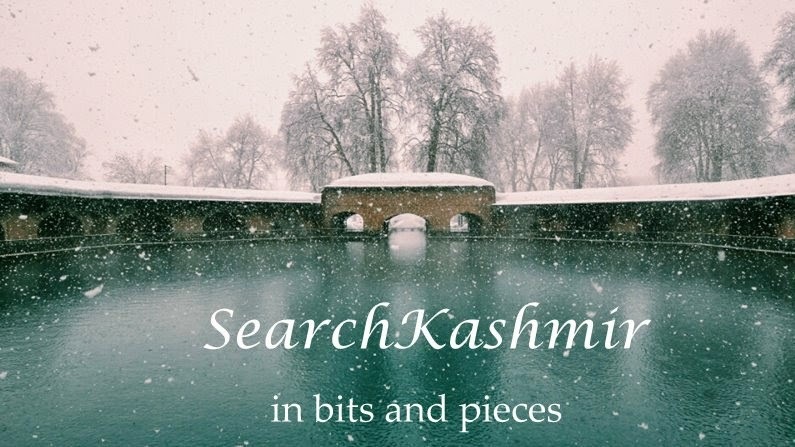 In Kashmir, Pairim is used to denote anything that comes from outside Kashmir. For any tourist visiting Kashmir, a Shikara ride is a must. During my Shikara ride in 2008, the Shikarawalla, acting a good guide, kept tour-guiding in a Kashmiri tinged Hindustani to my little younger cousins. '...Aur Yeh Loatus flower hai. Abyhi ye chota hai...' (...this is a Lotus flower. Yet to bloom... ) and at this moment my uncle suddenly interrupted him, 'Tche Kyoho Chukh Pairim Karaan! Dopuy na as Che Kashir.' (Why do you speak in outside language? I told you we are Kashmiri.) 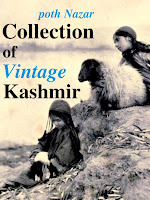 Hearing this, the guide, half-smiling, switched to Kashmiri, for sometime. Soon enough, nasal vocals, high treble and dumb beats of a hit bollywood song hit up coming from the stereo deck mounter at the back of a distant Shikara. As if on cue, the Shikarawalla again shifted to Pairim. Soon enough my uncle again interrupted him, 'Hye Dal Batta. Koshur Karu.' (Hey you Dal eating Pandit! Speak in Kashmiri.) and shot a laugh. The Shikarawalla was too young, I don't know if he understood the reverse joke, but he too was by now laughing. Maybe he understood it. I am not sure if my little cousins, all Pairims, understood it, but they too were laughing. Maybe they didn't. I looked at the dark waters beneath us, the dark waves we were cutting through over the noises. I saw weed that gave the deceptive illusion of friendly shallowness to the waters of Dal. Like you won't drown. Like you would somehow bounce back on the boat. A little niece dropped her hand in water. Wait. I remembered my first Shikara trip over the waters of Dal. A trip taken years ago, one evening, when I was a kid. I remembered how afraid I was when one of my elder cousin put his hand in the water and pulled some water hyacinth on board. Now I laughed.